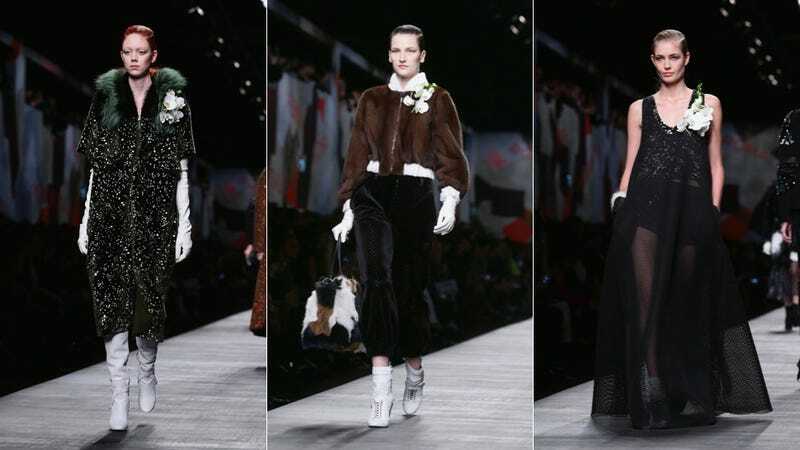 Milan Fashion week continues, and today the fall 2014 collection for Fendi — designed by Karl Lagerfeld — was presented. Winter is coming, and it is full of sheer gowns, orchid brooches and lots and lots of fur. By the by: Cara Delevingne walked down the runway with a tiny furry Karl Lagerfeld trinket. FUR SUNGLASSES.